First of all, what is a custom audience? A custom audience is a group of people you can identify who are Facebook users. You identify them in various ways . They can be people who visited your website or engaged with your Facebook page or posts or ads. They can be people who have viewed your Facebook videos. They can be people who have liked your Facebook page (your fans). You can save these people in a custom audience. Then, when you do Facebook ads you can show those ads exclusively to them. The process is easy. 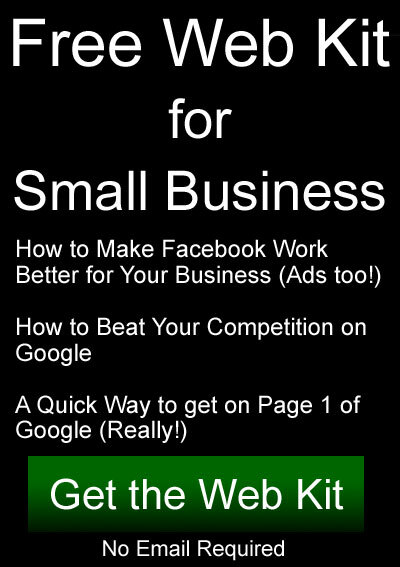 In the case of website visitors it’s a little more work because you must install the Facebook pixel on your website first. But in the case of Facebook fans you don’t have to do anything except have fans, then specify in your Facebook ad that you want the ad to show to them. Technically the Facebook fans are not specified within your custom audiences, so maybe they’re not really considered a custom audience. But they can be used in the same way and are really the same type of thing in terms of targeting who sees your ads. 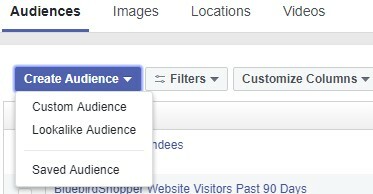 To create a custom audience go to the “audiences” section in your ads manager or business manager. By the way, if you aren’t using the business manager you should. Just go here to set it up: https://business.facebook.com. 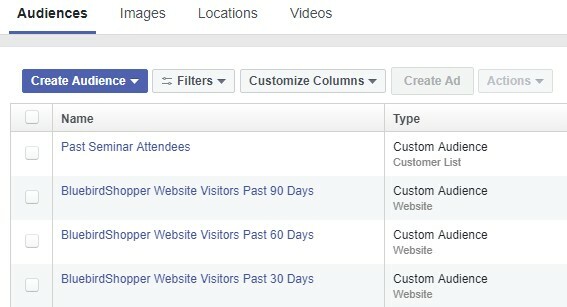 The screenshots below show the process of adding a custom audience to your Facebook ads account. In this first image you’ll click create audience, then click custom audience. In this next image you’ll get to choose which type of custom audience you want to create. In this example I clicked the “Website Traffic” option. I’ll talk a little more about the other options in a minute. Finally in this next image you’ll have options to select your Pixel (which must be set up before you create your custom audience). You’ll also be able to select options from the “All website visitors” button and enter the number of days back that you want to collect people from. So for example if you want all website visitors from the past 30 days you’d leave the options as you see them in this image. In this example I’ve selected multiple custom audiences to show my ad to. Yes, you can do multiples and mix them up. You can even exclude custom audiences while including others. 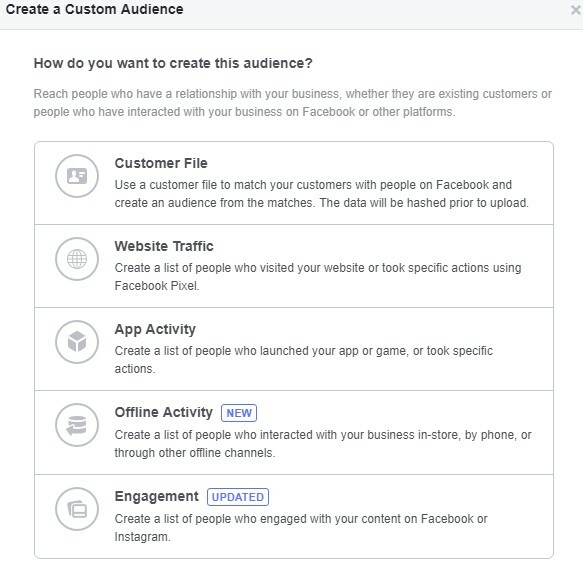 Why Create a Custom Audience in Facebook? The reason is that it’s very effective and less expensive. Then you’re showing ads to people who are closer to being customers you’ll get better results than if you’re showing ads to just anybody. Not all advertising media is capable of targeting this directly. Think about newspapers, magazines, TV, Radio, and Billboards. There’s a little bit of targeting there, such as matching the type of magazine, TV station, or Radio station with the type of customers you want. But it still doesn’t have quite as much of the pin point accuracy as you get with Facebook custom audiences. By the way, this is called retargeting. Showing ads to people who have already visited your website or engaged with you on Facebook. The Google display network is also capable of this. To summarize, there are 2 main reasons to use custom audiences in Facebook. It’s more effective because you’re showing ads to people who are more likely to respond and maybe become customers. It’s also less expensive because you’re not wasting money showing your ads to people who are not potential customers. There is one big challenge here though. How do you gather those people into your custom audiences in the first place? For some businesses that is already taken care of. If you get a good amount of traffic to your website or have a lot of Facebook fans and activity, then it’s just a matter of setting up your audiences and using them. But what if you don’t get much website traffic and don’t have any Facebook fans or people actively engaging with you there? The answer is you have to work at building up awareness and interest in your business. This is done with traditional advertising or even with Facebook advertising without using custom audiences. However you advertise, get them to visit your website, get their email address, get them to engage with your stuff on Facebook, or get their email address. This is the first step. It’s the hardest and most expensive step too. But once you’ve got custom audiences full of potential customers who know about you and your products and services, you’ll have an asset that’s extremely valuable. 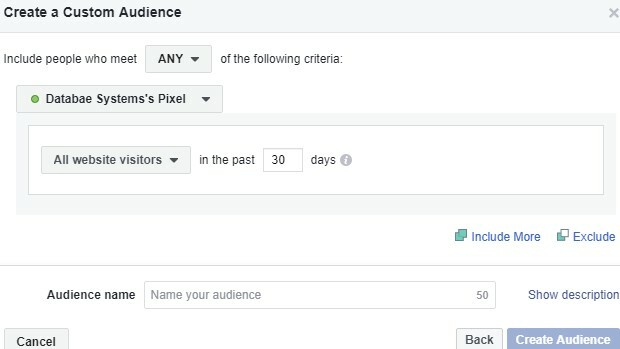 Have you set up your Facebook pixel and custom audiences yet?